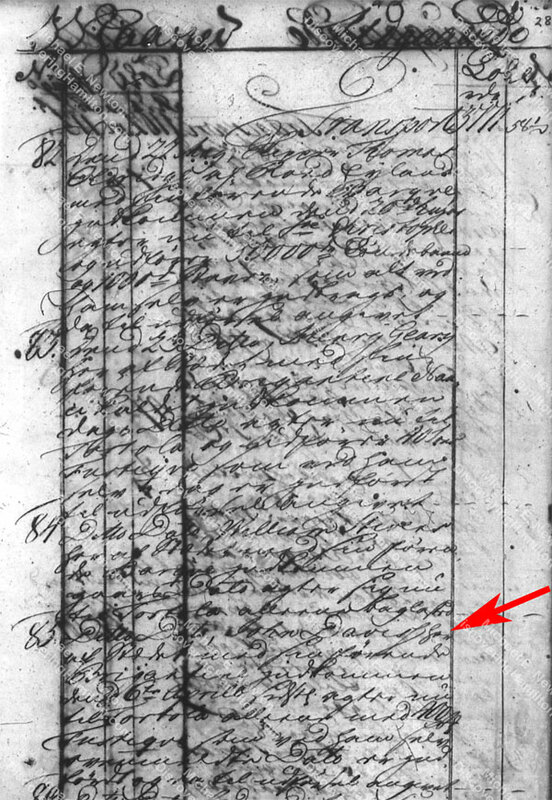 In my post about “The Early Business Career of James Hamilton, Alexander Hamilton’s Father,” I wrote about how James Hamilton took a job as a watchman or weighman at the port of Basseterre, St. Kitts, in July 1748. 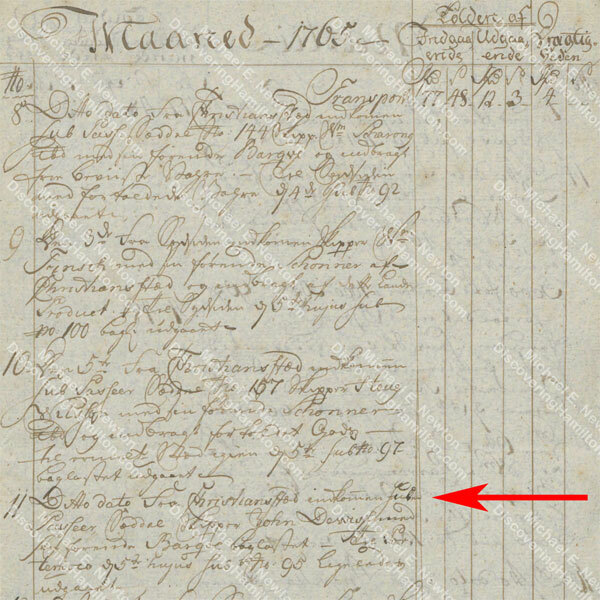 As I discussed last week, James Hamilton came to St. Croix in 1765, probably in April, to collect a debt for Archibald Ingram of St. Kitts. He certainly was on St. Croix in July 1765 when he filed a protest in court. And he was again found on St. Croix in December 1765 when he won the case and in January 1766 when he collected the debt. What did James Hamilton do for work in the seventeen years between 1748 and 1765? Was he a watchman or weighman at the port of Basseterre, St. Kitts, the entire time? When did he start working for Archibald Ingram? Was this a full-time or part-time job? According to the custom journals of St. Croix, Captain John Davis “of Christiansted” and his brigantine arrived in Frederiksted from Puerto Rico on February 11, 1765, and was soon to depart for St. Thomas. Captain Davis returned from St. Thomas to Frederiksted on February 22, 1765. At some point over the next few days, John Davis sailed from Frederiksted to Christiansted. On March 5, 1765, Davis returned to Frederiksted and on that same day was outbound for Puerto Rico. John Davis, now captain of a 25-ton barque “of Jamaica,” returned from the Spanish coast [Florida or the Gulf Coast?] to Frederiksted on June 11 and was outbound for New York on June 17. On May 23, 1765, the same day that John Davis was outbound for Tortola, St. Croix’s lower court ruled on this case. Unfortunately, the lower court record has not been found. 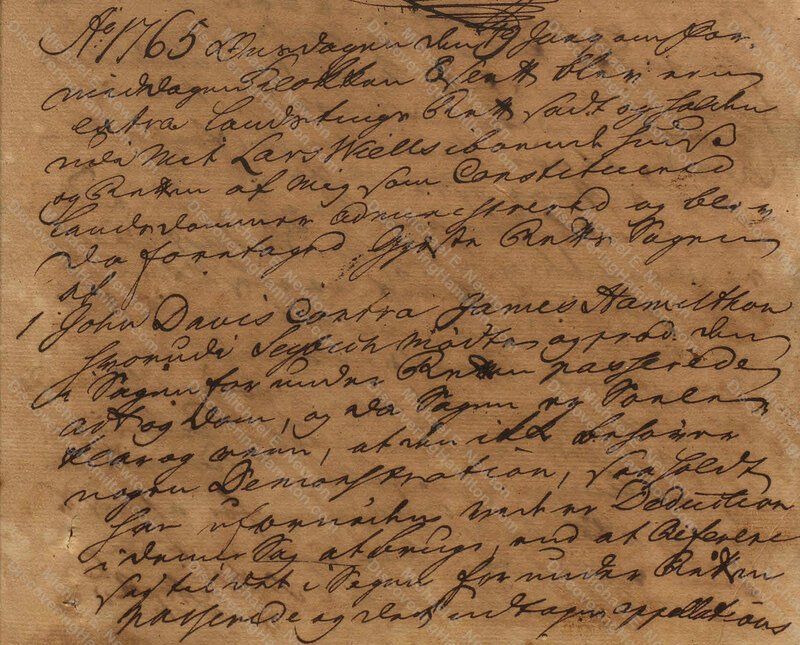 On May 29, 1765, St. Croix’s appeals court took up the case of “John Davis Contra Matros James Hamilthon [John Davis against sailor/seaman James Hamilton],” but immediately postponed the case until June 5. 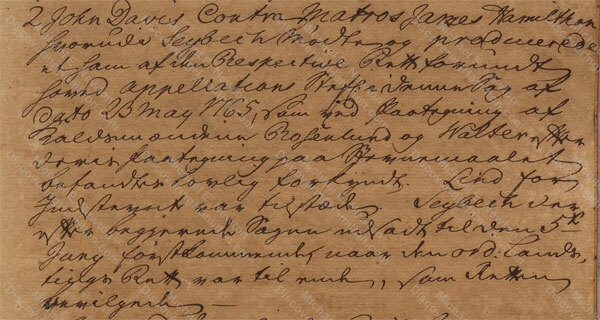 * I am grateful to Daniel Hopkins for his readings of some of the original Danish archival records discussed here. Professor Hopkins has published extensively about Danish colonialism, both in the Danish West Indies and on the West African coast. On June 8, 1765, the appeals court postponed the case again until June 15. On June 17, 1765, the appeals court again postponed the case to June 19. 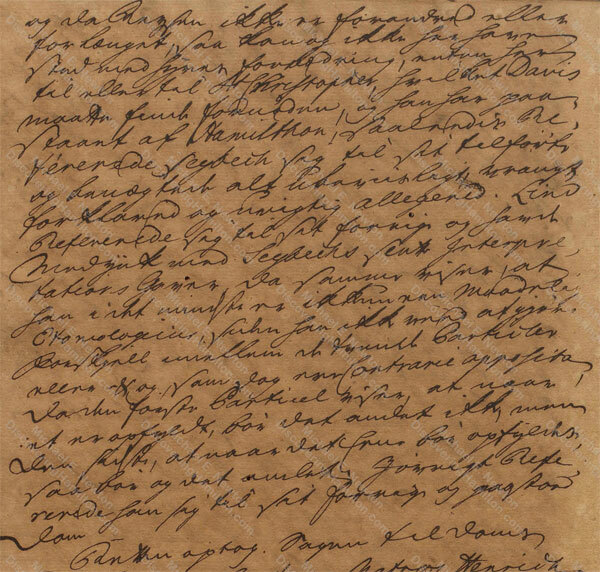 Finally, on June 19, 1765, the appeals court took up the matter of “John Davis Contra James Hamilthon.” According to the appeals court record, John Davis claimed that James Hamilton had been contracted for a voyage from St. Thomas to St. Croix, then to Puerto Rico, and finally back to St. Croix or St. Kitts. Hamilton, however, left the ship without the captain’s permission after its second return to St. Croix and refused to continue with the ship to St. Kitts. Davis argued that the ship stopped in St. Croix not to unload cargo but for other reasons and therefore Hamilton was still under contract to sail to St. Kitts with the ship and its cargo. The lower court had sided with Davis on May 23, 1765, but Hamilton appealed that decision. In front of the appeals court, Hamilton argued that he had served on the ship and performed his duties from St. Thomas to St. Croix, from St. Croix to Puerto Rico, and then back again to St. Croix, where the voyage according to the contract was to end, and had even remained in service aboard the ship for several days after its return to St. Croix. Moreover, Hamilton argued that Davis had refused to increase the wages of his crew for the additional stop and had not paid them at all for their service. Ten days later, on June 29, 1765, the appeals court issued a judgement in the case of “John Davis Contra Matros James Hamilthon,” but unfortunately it was not recorded in this volume and has not yet been found elsewhere. Perhaps, this judgment along with the lower court record will eventually be found and those will provide additional details regarding the above voyage and legal dispute. Is This Our James Hamilton? 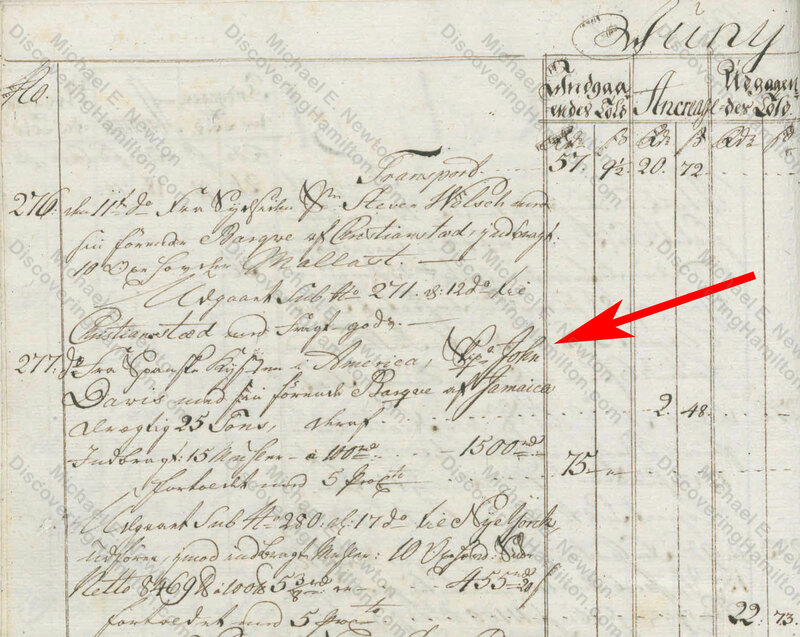 As discussed last week, our James Hamilton must have come to St. Croix in 1765, probably in April. 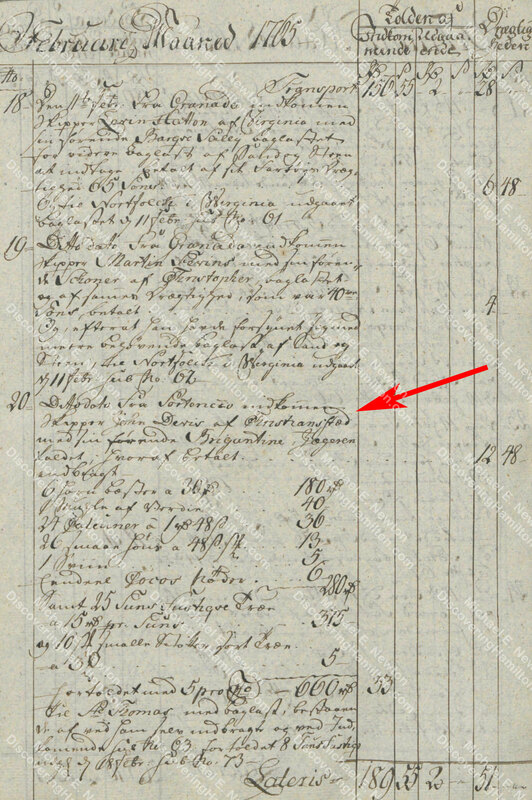 It surely is no coincidence that John Davis, with a sailor James Hamilton on board, came to St. Croix on April 6 and that this James Hamilton was embroiled in a legal dispute over the next few months at the same time that our James Hamilton was on St. Croix collecting a debt. Undoubtedly, the two James Hamiltons are the same person! I am thus compelled to conclude that the above “Matros James Hamilton” who sailed with John Davis and entered into a legal dispute against him was our James Hamilton, the father of Alexander Hamilton. As a result of these newly discovered records, a number of details regarding James Hamilton’s life have to be questioned or altered. A number of historians have written that James Hamilton was the “chief clerk” of Archibald Ingram of St. Kitts, who sent him to St. Croix in 1765 to collect a debt. The only evidence James Hamilton worked for Archibald Ingram is his collection of that debt, as presented last week, and that record only stated that Hamilton acted as Ingram’s “attorney,” i.e., legal representative. Thus, based on the available records, we don’t know when Hamilton started working for Ingram or the nature of his work. In fact, the idea that James Hamilton was the “chief clerk” of Archibald Ingram appears to be based on a mistranslation. H. U. Ramsing wrote in his essay on Alexander Hamilton’s birth and parentage that James Hamilton was “som Fuldmægtig for Archibald Ingram.” In a translation of this essay by Solvejg Vahl, which English-speaking historians have largely relied upon, this phrase is translated to “As head clerk for Archibald Ingram.” But the term “Fuldmægtig” or “Fuldmagt” means, according to every Danish-English dictionary I could find, “full powers; power of attorney.” Thus, James Hamilton was not the head clerk of Archibald Ingram, but he had power of attorney for him, as stated explicitly in the records of St. Croix. Thus, there is no evidence that James Hamilton was a clerk or even an employee of Archibald Ingram. In this one known case, Hamilton acted as a legal representative for Ingram. Perhaps he also did at other times. But there is no evidence that he was a full-time employee rather than just a person hired for individual jobs. James Hamilton was thus available for other employment, including sailing for John Davis. Additionally, it is now clear that Archibald Ingram did not send James Hamilton to St. Croix to collect a debt. 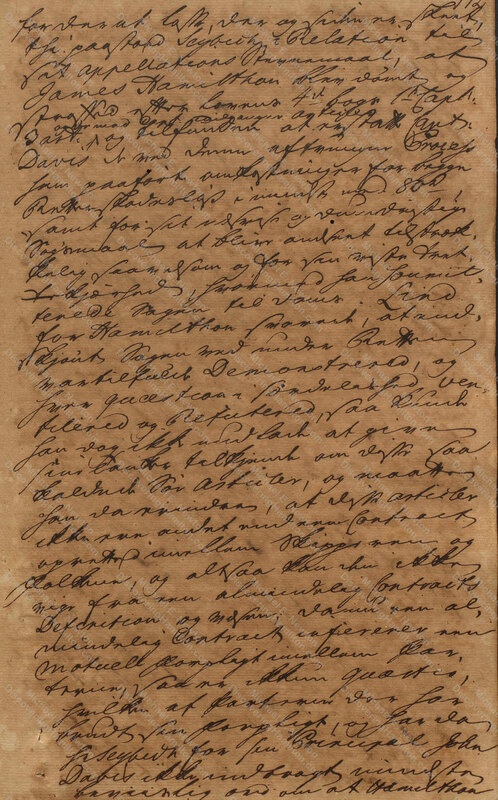 James Hamilton came to St. Croix with John Davis on April 6 and from there must have communicated with Archibald Ingram of St. Kitts and gotten for himself the job of collecting the debt owed to Ingram. James Hamilton’s arrival with John Davis on April 6 also raises the question of when did Rachel and the children come to St. Croix. Clearly they would not have come with James Hamilton since he came as a sailor working on board a merchant vessel. 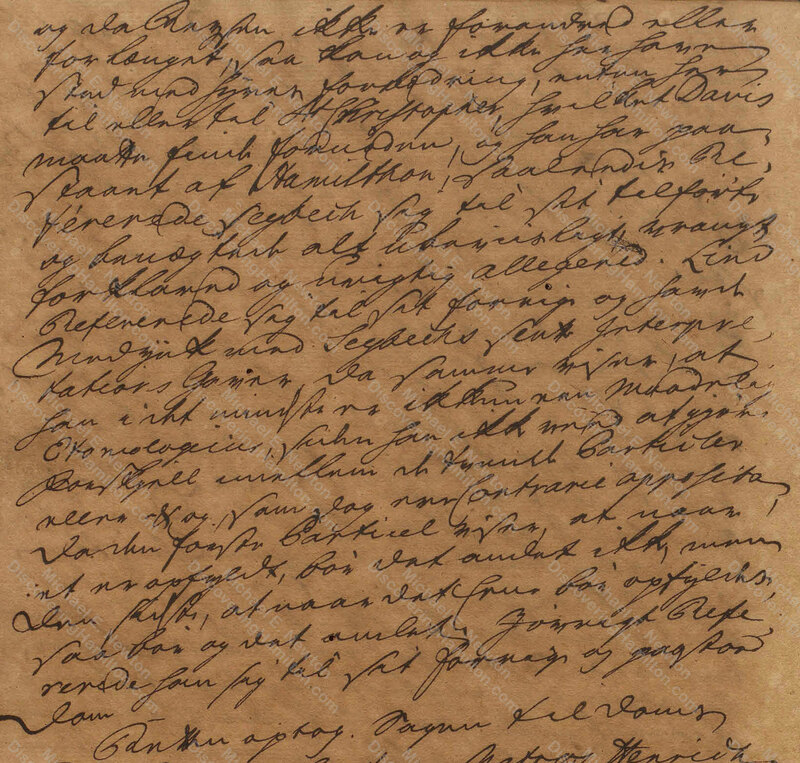 Likely, James Hamilton sent for Rachel and his children after he arrived on St. Croix and decided that he would have to stay there for some time to settle this legal dispute and to collect the debt for Archibald Ingram. It will also be noticed, however, that James Hamilton joined John Davis’s crew on St. Thomas sometime between February 11 and 22, 1765. What James Hamilton was doing on St. Thomas at this time is not known. Most likely, he had been on another sailing voyage, perhaps with the same John Davis, which had completed its journey on St. Thomas and there he got another job as a sailor for another voyage. James Hamilton’s employment as a sailor on board merchant vessels could explain why he does not appear in St. Croix’s matrikels, a topic long debated and discussed again in last week’s blog post. As a sailor who constantly came and went, he had no permanent residence on St. Croix and thus was not counted in their census. 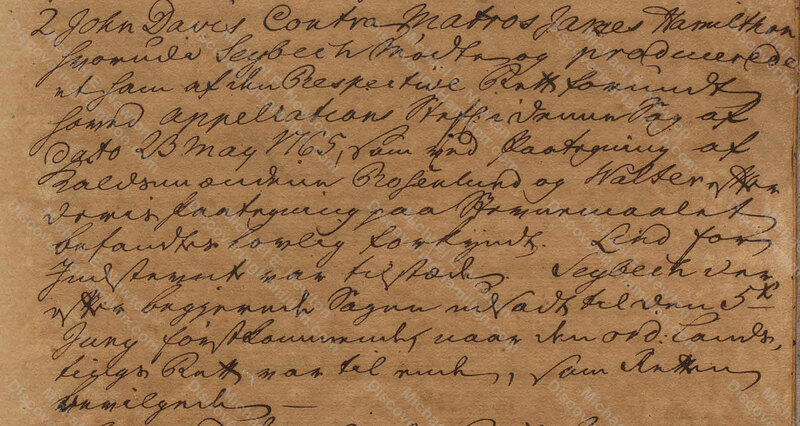 However, Rachel and their children did stay on St. Croix full time and were listed in the matrikels. This does not help us determine when James Hamilton permanently left St. Croix and his family, but does suggest that the James Hamilton who appears as a witness on St. Croix in June 1766 probably is our James Hamilton because there is no evidence he left St. Croix on a permanent basis during the five months since he had collected the debt. James Hamilton was employed as a sailor on merchant vessels prior to his arrival on St. Croix. James Hamilton arrived on St. Croix on April 6, 1765. James Hamilton likely sent for Rachel Faucett, James Hamilton Jr., and Alexander Hamilton shortly after his arrival on St. Croix. 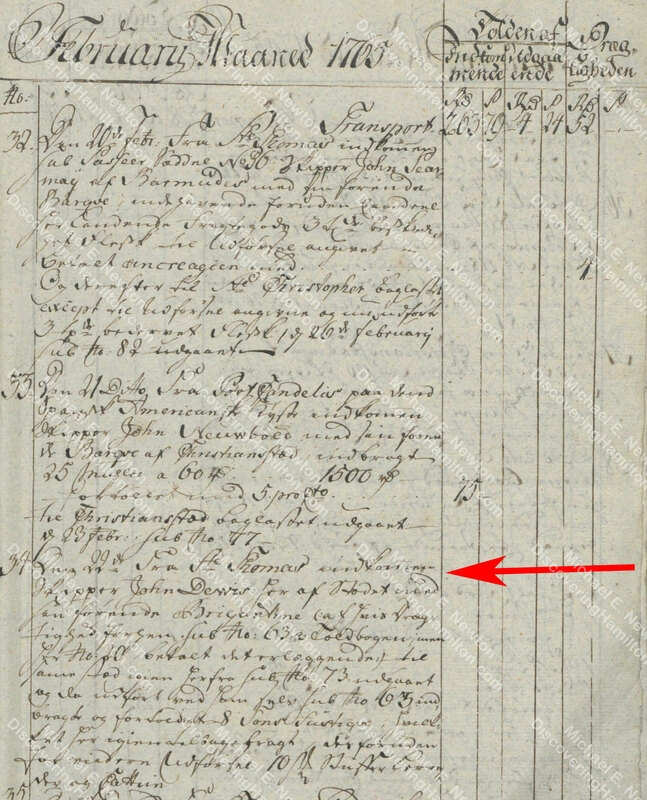 James Hamilton was involved in a legal dispute against John Davis in May and June 1765, at the same time that he was trying to collect a debt for Archibald Ingram of St. Kitts. James Hamilton was an “attorney,” i.e., legal representative, for Archibald Ingram. He was not his “chief clerk” or even a full time employee. James Hamilton never appears in the St. Croix matrikels because he was never a permanent resident on the island. Instead, he was a sailor who constantly came and went. 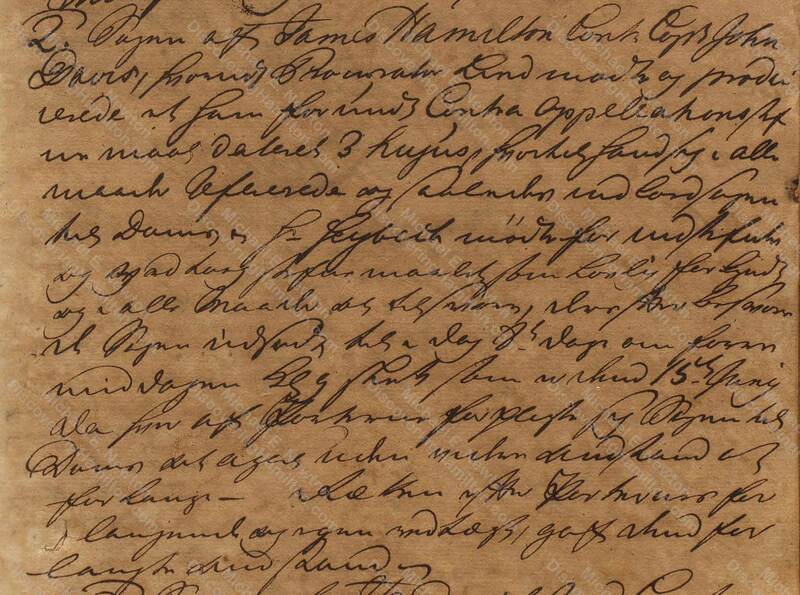 The James Hamilton who acted as a witness on St. Croix in June 1766 probably is our James Hamilton. 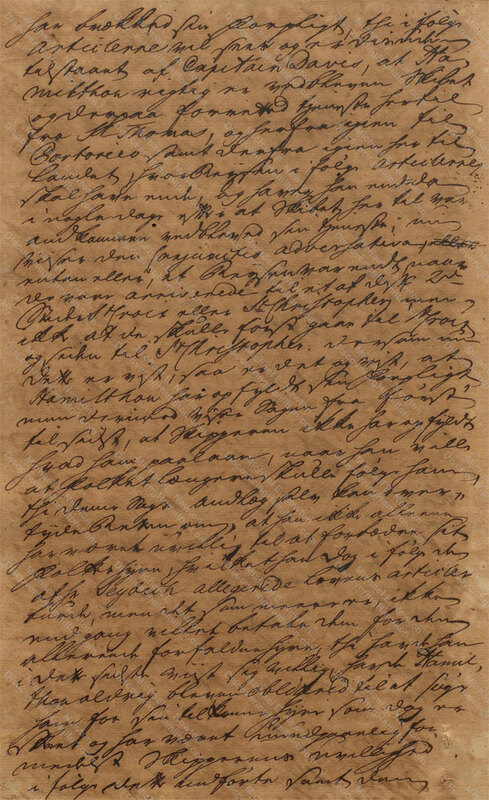 Perhaps James Hamilton left his family when he was detained on a lengthy voyage and a lack of money and embarrassment regarding his financial situation prevented his return. Thus, this one set of legal records results in a major rewriting of the biography of James Hamilton and the early life of Alexander Hamilton. For instance, see Chernow, Alexander Hamilton 21. 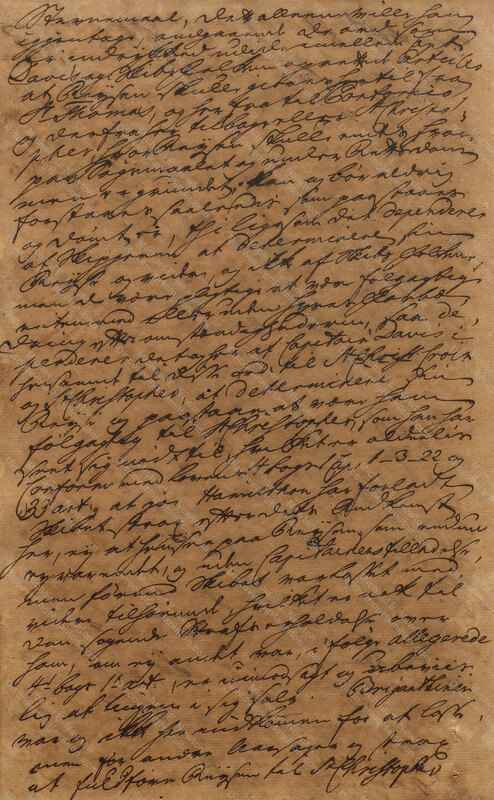 Solvejg Vahl, Alexander Hamilton’s Birth and Parentage. 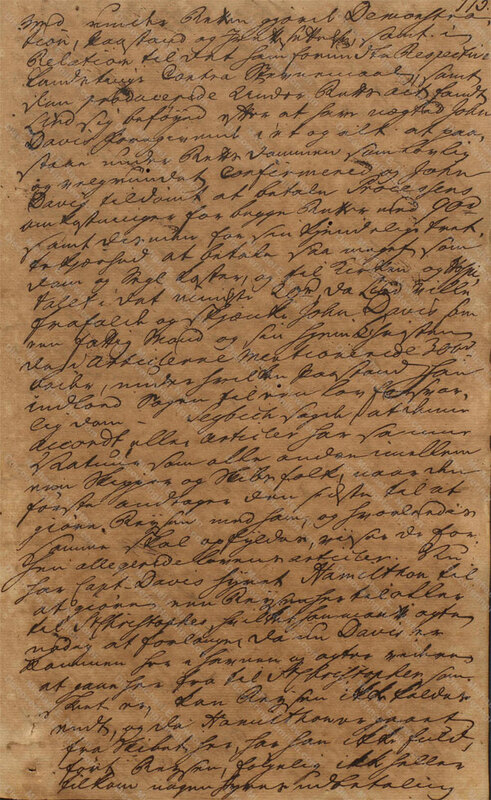 Alexander Hamilton to William Hamilton, May 2, 1797, in The Papers of Alexander Hamilton 21:77. © Posted on June 18, 2018, by Michael E. Newton. Please cite this blog post when writing about these new discoveries. Next Next post: What Happened to Alexander Hamilton’s Father? The Story of James Hamilton from 1766–1799. 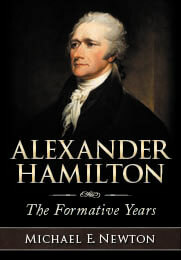 Please support Michael E. Newton’s continuing research into the life of Alexander Hamilton.